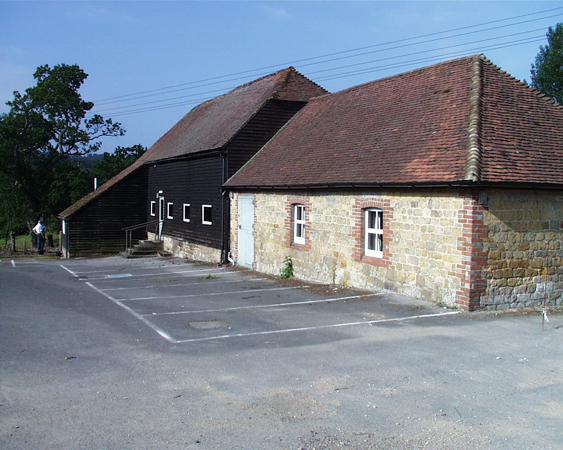 Originally part of the Grade II listed Verdley Farm building group, this linked series of timber framed and brick and stone barns had for many decades been the social club of the ICI Plant Protection offices and research centre. Due to company mergers and sales the estate was broken up and sold off for redevelopment. Our client acquired the barns and appointed the practice to design a large family dwelling for himself and his family, by conversion and alteration, within the existing linked buildings. The completed project which entailed substantial restoration to the 16th Century timber barn section provided living and bedroom accommodation on the ground floor, albeit with the changing levels of the various bans these spaces are broken by short step runs. 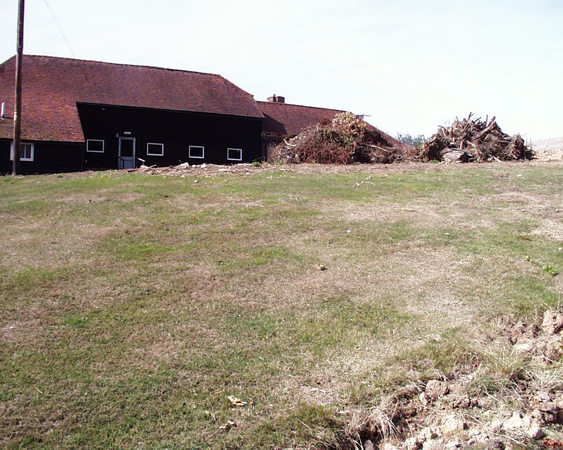 The main barn was left open full height with vaulted ceilings leaving exposed trusses and rafters. Large glazed sections, where the threshing bay doors once were, flood the interior with natural daylight. Two galleries, one at either end over look the large internal space as well as the countryside, through random glazing set between the timber spars of the external walls. These galleries provide great areas to relax and entertain in, part of, but just a little separate from the main space.